Hostess Code Club - How does this work? At the beginning of every month, I create a new hostess code for anyone shopping with me to use in my online store. You will also find the hostess code in the sidebar of my blog and at the beginning of each month it will be updated with the new one. I will also send an email each month to make sure you don't miss it. Then at the end of the month, I close out the order and use the hostess rewards that have accumulated during the month to purchase gifts for everyone who has placed orders using the hostess code. The more orders placed using the code, more hostess rewards accumulate and that means better rewards for you. Hostess Code Club Rewards are sent separate to your order as they are sent from me NOT Stampin' Up! I also cover the postage on your reward/s. A sampler of embellishments from the Annual and Occasions Catalogues. Do NOT use the Hostess Code if your order is more than $250; an order of $250 or more will earn you your own hostess reward/s. Please do NOT click on guest checkout or no contact. This means that your details are not passed on to me and I am unable to post your reward/s to you. Make sure that you are shopping with me - Lisa Eaton, to make sure that you are rewarded for your shopping! Make sure you enter the Hostess Code in the right spot and click "Apply". A big thank you to those who placed orders with me last month, your Hostess Gift is on its way. Now that you've had a look through the catalogue, I'll bet that you have a wish list as long as your arm. Am I right? YES? Why not think about Joining Stampin' Up!? From January 3rd through to March 31st, anyone who joins Stampin’ Up! (during Sale-A-Bration) can choose from two offers. 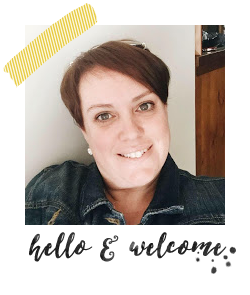 There are MANY fantastic things about joining Stampin' Up! but I think that one of the best things about being a Stampin' Up! Demonstrator, is being able to not only SEE new products before they're available to our customers but being able to ORDER them and PLAY with them before they're available to our customers. Sounds good, doesn't it? Click here to find out more about joining Stampin' Up! I would LOVE to have you on my team.